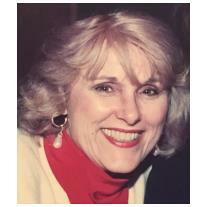 Alexandra Susan (Pelli) Lehman, 81 of Ridgewood, died peacefully on March 11, 2018. She was attended by her family. Alexandra was born in Brooklyn, NY in 1936. She attended public schools in Brooklyn and the Bronx until entering Hunter College in NYC where she graduated with a Bachelor of Arts degree in 1957. She married Stephen Lehman in in 1957. They settled briefly in Queens, NY where they started their family then moved to Los Angeles, Somers Point, NJ, Hawthorne, NJ, and back to Queens before settling in Ridgewood, NJ in 1963 where she lived in the family home for the next 55 years. Alexandra earned a Masters Degree in Education at William Patterson 1969. She began her teaching career at Brookside School, in Westwood, NJ where she taught elementary school for over 25 years. She was beloved by her students and co-workers alike and developed many life-long friendships with her colleagues in the Westwood Schools. While teaching, she was active in the NJ Education Association (NJEA), as well as, being a leader who fought relentlessly for fair contracts for herself and fellow teachers. She was also active in promoting Title IX laws for all students. The impact she had on her many students throughout her career as a teacher and advocate was immeasurable. She was an avid gardener, excellent cook, voracious reader and supporter of the arts, dance, and music. Some favorite travel experiences included trips to Greece, Turkey, London, Copenhagen and Amsterdam highlighted by a mother- daughter excursion to Sweden and Norway. She was a devoted caregiver to friends and family throughout her life, thoroughly enjoying her role as a grandmother to her 5 beloved grandchildren. Her generosity and loving spirit were evident by all who knew her. A woman of exquisite style and beauty, she made all feel comfortable and accepted when in her presence. Alexandra is survived by her sister Carol McClure, brother Michael Pelli (Gail); her children Beth McElroy (Kevin), Peter (Suzanne), Matthew (Jean); and her grandchildren, Erica, Sam, Connor McElroy, Emeril and Ian. She was predeceased by her parents Francis and Elsa Pelli, both of New York City, and her sister Linda (Pelli) Manchester. A memorial service will be held at Feeney Funeral Home, Saturday March 24th from 2-4 pm in Ridgewood, NJ. In lieu of flowers, donations can be made to the Alzheimer's Association or The AAUW.